#2 Sharpened Pencil – a Gardening Tool? While most people think of hoes and clippers and spades as normal gardening tools, the one I am using most often right now is a regular #2 sharpened pencil. 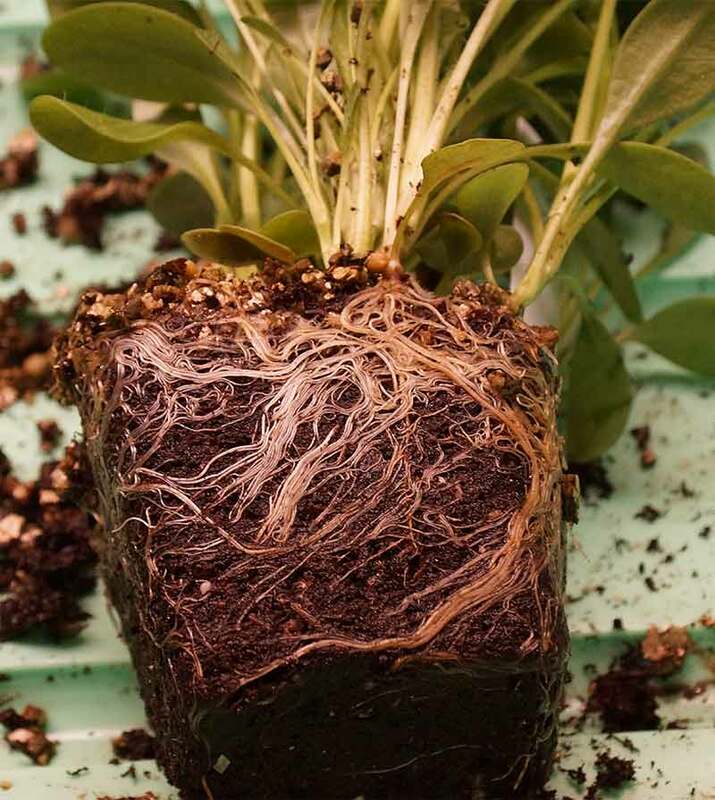 If you look at the picture below you will see ten plants and roots all mixed together in on smallish cell. Most people start ripping everything apart, but a new technique I learned recently was to tease the roots apart with a pencil. 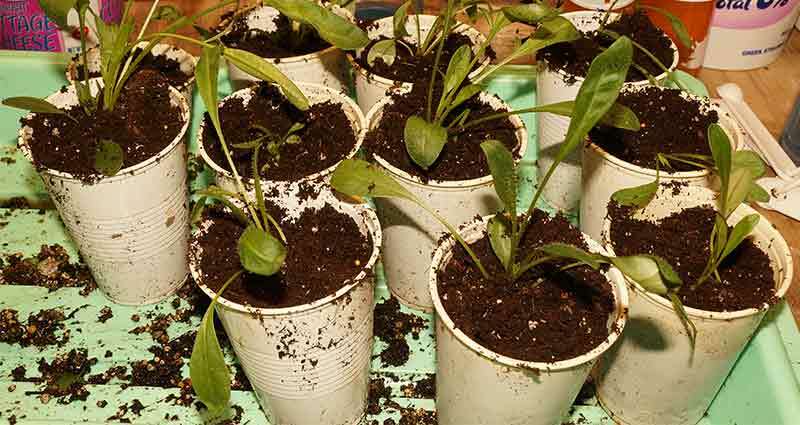 This makes it much easier to separate the plants for re-potting. 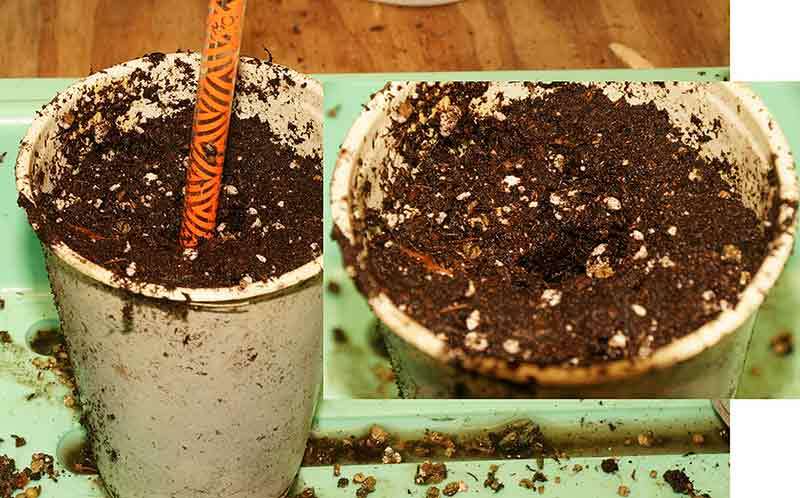 The second way I’m using a pencil is to make a hole in some wet potting soil for any new cuttings that I am trying to root. The final way I use a #2 pencil is for making labels. Forget the permanent markers, a #2 soft lead pencil will create a nice label that will not wash off and will last all season. I cut up old plastic Venetian blinds and use them for plant markers. 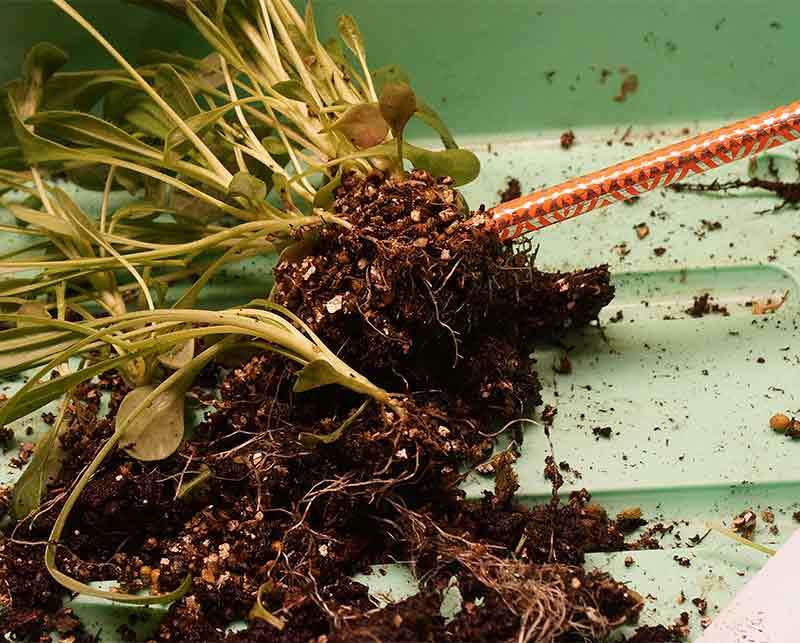 The cost of some seeds can be quite expensive in some cases, so it just makes sense to not waste them or use more than you need. 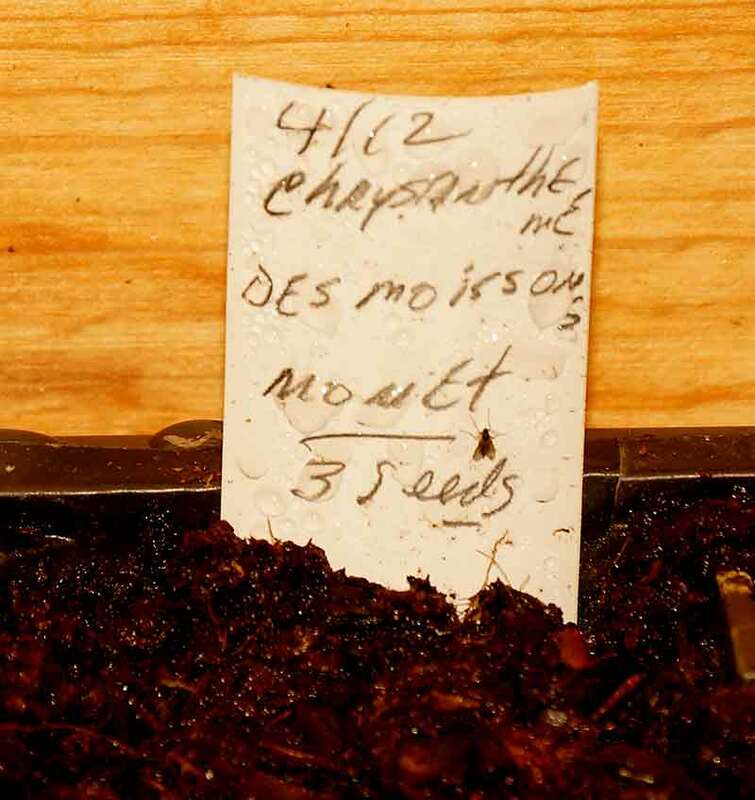 A single packet of 15 seeds of Cheyenne Spirit cost $8.25 and last year I had poor germination with this cultivar. Also some seeds are very tiny and hard to handle just using your fingers. In the past I bought a plastic seed spoon, but thought I could come up with a replacement with little effort on my part. I tried a couple different sources for my wood. I used a wood wedge, cut off a piece, sanded it and it works well. I also tried a stick from a frozen treat and with a little sanding it worked well also. 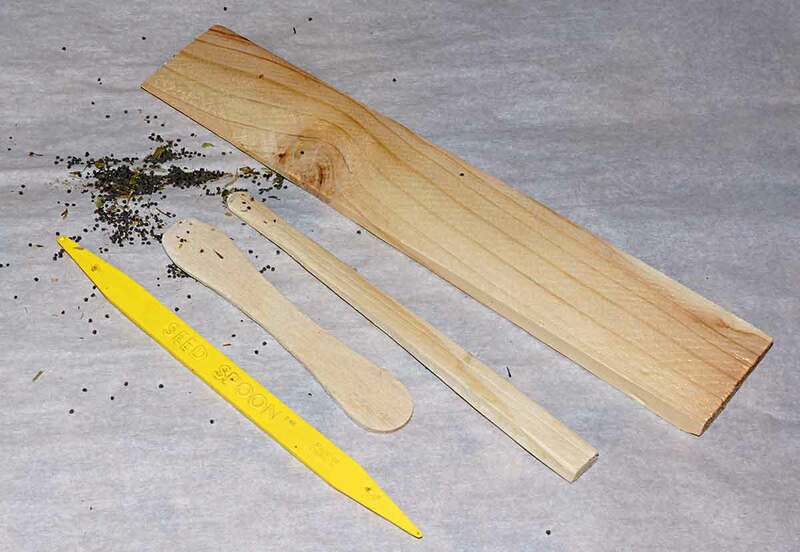 The advantage of the wood is that it’s easy to see the seeds and count how many are on the stick. The wood also holds the seed well in place. A Popsicle stick should work well also. I did try using a heated nail to put in a dimple into the wood, but found that I didn’t need it. The seeds you see in the picture are Maltese Cross and are very small and normally would be hard to handle, but with the home-made seed sticks, they are much easier to work with. I was browsing Hummert’s store in St.Louis and came across this product. 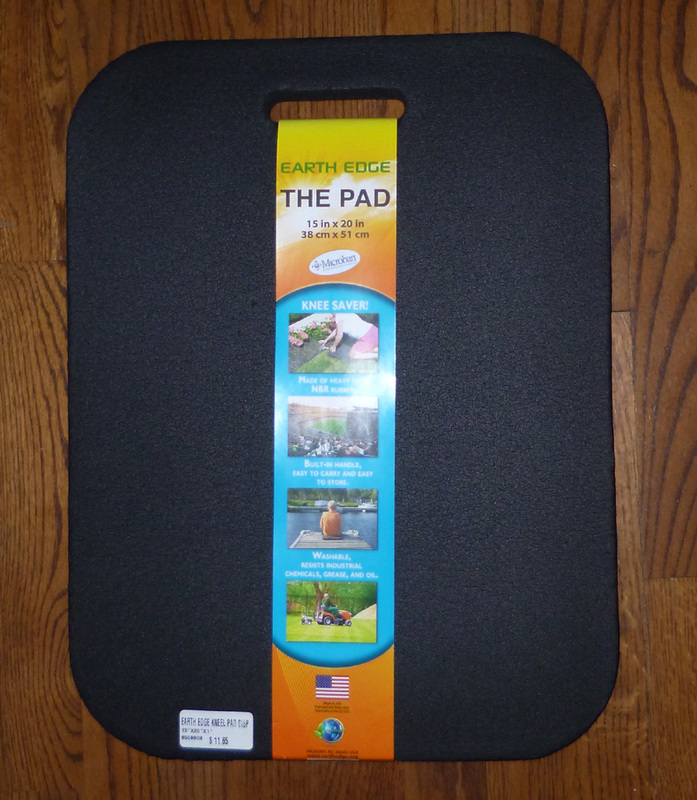 It’s a large pad (15″ x 20″) which feels like it would be great for kneeling when I’m working in the garden. I obviously haven’t tried it out yet in January, but look forward to seeing how it works this spring when I’m on my hands and knees cleaning up and putting in new plants. Most pads are a lot smaller than this one. so I appreciate the larger size. I could not find it anywhere on Amazon , but I did find a link to it on the HomeDepot site. While I have a box of hand tools for the garden, there is only one I use every day. 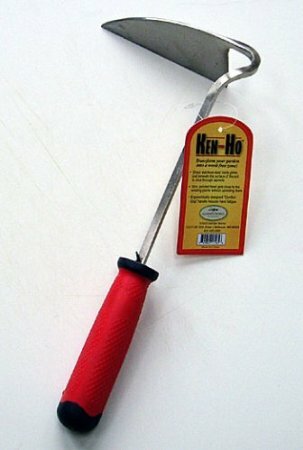 It’s the Ken Ho Garden Weeder. I use it to not only keep my weed population in check, but also to dig holes and cut off small roots. It’s very durable and although mine is filthy with caked on dirt, it is not rusting. If you have a gardener friend, this would be a great gift. NOTE – for some reason, this is quite expensive on Amazon – another option which works well for $7.00 is the Nejiri Gama Hoe. 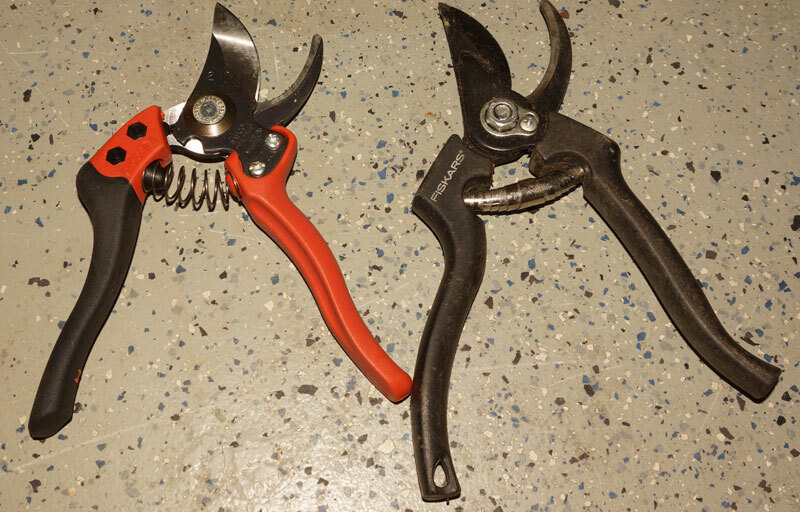 I found this video on how to sharpen your hand pruners in only ten minutes.